DigiPHONE Local & Long Distance Plan allows unlimited toll free calling anywhere in the continental United States, Hawaii, Alaska and Canada. 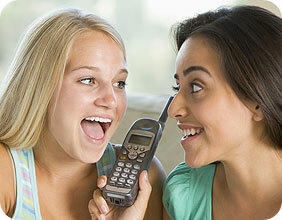 Also included in the DigiPHONE plan are popular calling Features - Call Waiting and Caller ID, at no extra charge. With the DigiPHONE Service, you may keep your existing telephone number and connect multiple phones in your home to the DigiPHONE Service. You can get a Bundled Group savings which includes Voice Mail, Caller ID w/Name and Wait, Call Forwarding and Three Way Calling or pick only the features you want and pay for those individually. Calls to international locations are offered at an extra charge and will be billed on a separate line of your Bee Line Cable/DigiPHONE Bill. Calls to Directory Assistance (411) and Operator Services (0) are offered at an extra charge and will be billed on a separate line of your bill.